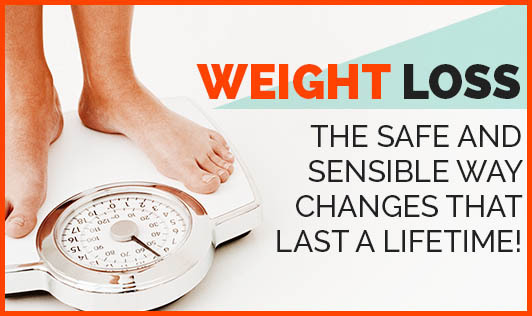 Weight Loss the Safe and Sensible Way: Changes that last a lifetime! Many people go on a weight loss spree, and lose a good amount of weight, but are still not satisfied about it. The standard phrases that follow are- “I will not be happy until I lose 10 more kilos”. But, is this realistic? Why are people rarely content about how their weight reduction has considerably enhanced their well being and quality of life? It's not unusual for weight watchers to set grandiose weight reduction objectives for themselves. Some want to get back to their old weight, others picture themselves resembling a supermodel, despite the fact that their characteristically large build may make this an outlandish objective. A 2001 study from the University of Pennsylvania found that a normal, overweight individual set an objective of losing 32% of their body mass. That is three times the sum required to accomplish enhanced wellbeing. Setting far-fetched and long term goals is a setup for frustration and disappointment. People can accomplish their desired weight- as long as it is sensible and feasible. They should keep in mind that they are on a trip to enhance their life and wellbeing and gain control over their weight. It's not about precision. As opposed to aiming for a specific body size that has not been possible for over 10 years, it is wise to set more accessible objectives. Losing even 10% of the body weight can show desirous results on blood pressure, cholesterol, blood sugar, and triglyceride levels. For a satisfactory weight loss journey, set short term goals like for every month or so. This will help keep track of the progress. Availing small rewards for sticking with healthy eating and exercise habits can help one stay mentally positive and help remember the profits of a healthier lifestyle. It is possible to shed pounds on basically any diet. But to shed those extra kilos, it is a must to figure out a “diet” which can eventually be adopted as a lifestyle. The aim of any weight loss program is not something one can go on and off with, but an arrangement which is forever.